It is time once again, dear listen, to recognize and celebrate those who grace BANDCAMP with the presence of their aural artistry. I'm continuously inspired and in awe of the amazing vibes that live and breathe on Bandcamp, searching for a home within our minds and ears. With a small bit of searching, one can reap the benefits of the artistic fruits that creative artists have toiled over, with hopes that their creations will find a new world to take root in and germinate within us. Color your world with this session, and enable your mind's eye to relish the beauty and integrity that these artists present to you. I am but only a lone traveler and advocate among the cosmos that puts the wrapping paper upon the gift with hopes that you will taste the chocolate and search out those that have created the confection for you. No calories will haunt you as you allow yourself to surrender to its addictive nature. 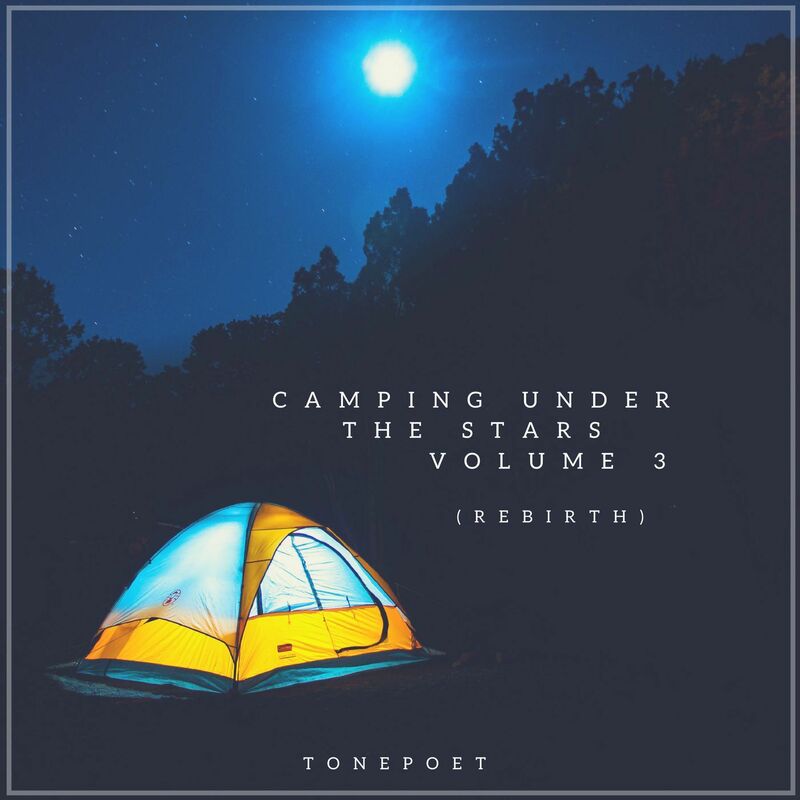 If you are interested in finding these releases (only 3 of them require payment, the rest were free), pay a visit to my sister site (http://ambient-transmission.blogspot.com) and search 'Camping With The Stars' to find links to the artists' Bandcamp pages as well as links to the releases themselves. Please pay them a visit, and if you decide to purchase anything, take comfort that you in turn are inspiring the artists to keep producing an intoxicating sweet nectar of musical juice. Make sure that you let them know that Tonepoet sent you by way of Spaceman's Transmissions. Side note: only 3 of the releases cost me anything, the rest is pay-what-you-want. Can't beat that.